Metal melter - How can one melt metal with magnets? Metal melter is a good thing to have but what if you don’t actually need one? It takes a lot of heat to melt metal and that normally requires some heavy-duty torch. In addition, you will have to do it manually. But, what if you need only a bit of wire and electricity to melt a chunk of metal? For that, you’ll just need a magnetic field to suspend it in mid-air so it can also look cool during the process. The setup is not as complicated as one might think. This metal melter uses induction heating to melt the metal without any additional efforts and materials. All you have to do is get some wire and pass an electric current through it. 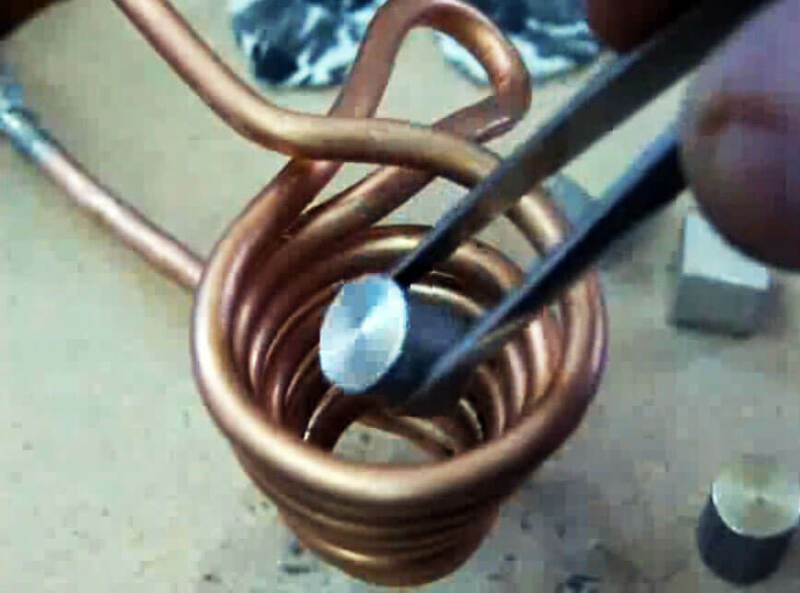 The electric current then bounces around the coil thanks to the metal inside the magnetic field. Eventually, thanks to the electricity that is generating within the metal object, more heat gets generated in return. More than the metal can bear. The metal melts while suspended in the could but, amazingly, the magnetic field holds everything together. In the end, when you shut off the electric current the metal drops out of the field. Then, it lands as a melted pile of liquid. Science is pretty neat, isn’t it? Not a classic gold digger prank, but still funny! How To Protect Motors From Running In Overload! Crazy Bike Girl Overtakes Every Vehicle In Front Of Her! P&H Mining Equipment – 4100 AC Mining Shovel Walkthrough!